Nov 10, 2015 We are proud to offer clients regular bank busting returns on their investments, however, it is common knowledge that investments sometimes go up and sometimes go down. Holborn Assets seem to have a lot of complaints on here and I have been directed to this site by my adviser who works with them. I have used him and Holborn Assets for at least ten years now and I have to say that I am very, very satisfied with them. There was one incident where I thought that the fund advice I was given was dubious and I demanded a meeting to explain why my investment was suffering. I was met by not only my adviser but also a rep from the investment company and also one of the board members. I have to say it was explained and dealt with efficiently and professionally. I took their advice and rode the storm, only a year later the fund recovered and I was on my way. I have read a few reviews on here about Holborn Assets in Dubai and South Africa - where I am from - and I can tell you that there are some sad people out there that just want to destroy the competition in the most cowardly fashion possible. 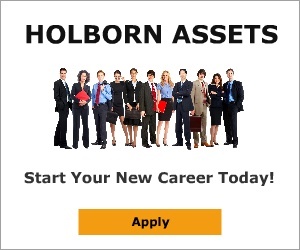 My experience with Holborn Assets has been excellent, and also my friends whom I recommended would say the same. My advice is meet with your adviser and ask him or her whatever is on your mind. Don't dismiss this company over a review on a site with a name like this. This is your livelihood you are dealing with. I liked: Personalised proffessional service, Professional service and honesty. Review #668316 is a subjective opinion of User668316.